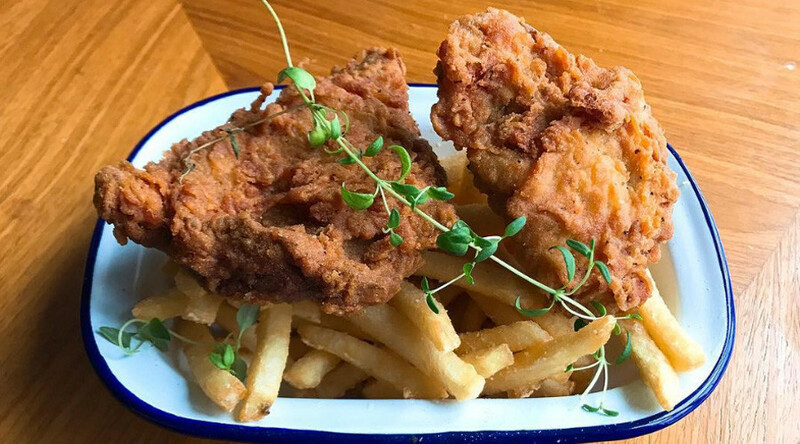 East London seems to be the number one destination for pop-up shops and novelty restaurants, but it may have reached peak-hipster after a vegan ‘chicken shop’ opened its doors in Hackney this week. The Temple of Hackney could well be the first meat-free fried chicken shop in the world, but fast-food lovers have given it mixed reviews. The ‘chicken’ is the creation of Australian couple Rebecca McGuinness and Pat O’Shea, who concoct it out of seitan – a wheat protein that can look a little like meat. McGuinness worked for fried chicken giant KFC and said she had always missed the dish since going vegan 10 years ago. Last year the couple opened a street-food stall on Brick Lane called Temple of Seitan, where they sold their ingenious vegan alternative. Not all customers however are hyped by the couple’s permanent location in Hackney.